A Real Food Journey – Small steps in the right direction! I’m thrilled to have my dear friend Tiffany at Don’t Waste the Crumbs join us to share some helpful insights about her real food journey. Through first-hand experience, she has learned, as so many of us have, that making the shift from processed foods to wholesome real foods is a gradual process that can only be achieved by taking small steps in the right direction. One of the most common pitfalls of starting a real food journey is believing it’s an all or nothing gig. It starts innocently with a date night at home, browsing the latest releases on Netflix. You decide on a documentary like “Food, Inc.” wanting to know why everyone is making a big fuss about food. Next thing you know, you’re laying on your pillow wide awake, thinking your only hope of not developing cancer or some other debilitating disease is to buy EVERYTHING organic … Or was that just me? Movies like this are important for waking us up to the growing dangers of the standard American diet. Yet their pitfall can be that they often make eating real, wholesome food sound like an easy magic trick – just buy this and you’re safe. Just buy that and you’ll be healthy. And at the beginning, I was excited and ready to do whatever it took, no matter the cost. Jumping in with both feet, I ventured to the health food store instead of the usual grocery store that week and literally stocked my shopping cart with everything organic! It felt great to take charge of my family’s nutrition and to be so cautious about food we were eating… until the cashier read the total. In the blink of an eye, I was defeated. There was no way in the world I could afford to spend this much in groceries every week! During the drive home, my mind replayed the purchase and I started to second guess if eating real food is really worth the time, the effort and the money. I considered throwing in the towel on eating real food. Thankfully, I realized that my frame of mind is what caused me to fail. I was looking for an overnight solution to a problem 30 plus years in the making. I felt like I had to buy everything organic, on top of having to know how to ferment milk AND sprout flour AND render lard AND make my own butter from raw milk (raw milk?!) when I was struggling to have dinner ready at a decent hour each night and stay within budget each month! And to top it off, I really had no clue WHY I was doing it all in the first place! Thankfully, my sister-in-law gave me the book “Nourishing Traditions ” for Christmas, which helped me to put the pieces together. I soon realized that a real food journey is about putting one foot in front of the other and going in the direction of “better.” It’s not about doing it all at once – it’s about doing something – starting with one healthy eating goal and then continuing to make slow, steady forward progress. That’s why I created the 22 Days to a Fresh Start series. I wanted others to learn from my mistakes and know that it IS possible to eat real food by making small strides in the right direction, and that it IS possible to do it without going broke! Eating real, wholesome food is certainly not an overnight magic trick … It’s about making better choices, one at a time, based on your own family’s needs and budget. And this, of course, looks different for each one of us. 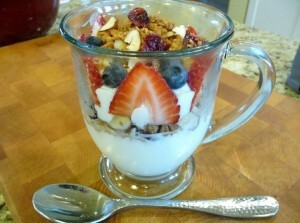 The key is to start with one healthy eating goal and work to accomplish it before moving on to the next goal. Here are just a few ideas to consider as you begin setting your own goals for eating healthier and saving money! 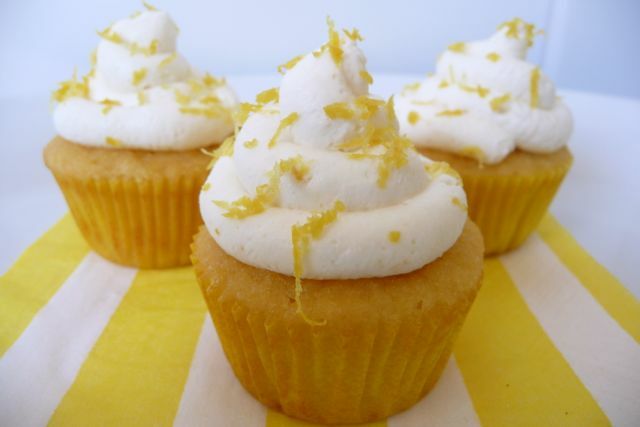 make wholesome and economical homemade treats. and making your own homemade bone broth. 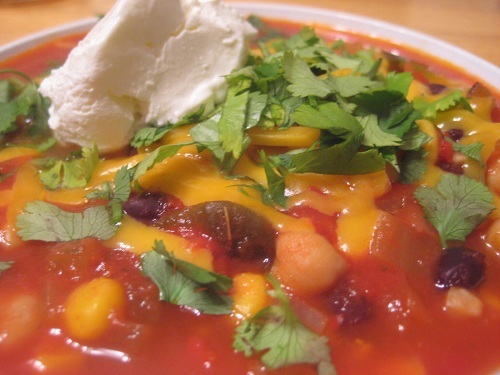 like my tortilla soup or hearty minestrone. So I encourage you to set a goal to do your first something right now. Arm yourself with knowledge and read Kelly’s write up on what real food is and her tips on how to set healthy living goals and make a budget. Fill your pantry with one or two of these awesome real food essentials, instead of buying another pre-packaged, processed food. You can also sign-up for my free newsletter to learn more about how to prepare healthy nourishing food, while also maintaining a healthy budget. 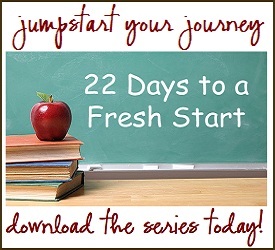 And as a thank you, you’ll be able to download the entire 22 Days to a Fresh Start series in an easy-to-read PDF format. Remember, even the smallest steps in the right direction are progress. Just start by doing something and soon you’ll find yourself making great strides with your healthy eating goals! Tiffany is a newbie real food eater who is trying to master real foods and incorporate them into her kitchen without breaking the bank. She documents her baby-sized strides at Don’t Waste the Crumbs and Google. Tiffany, thanks for this post! We recently moved to Hawaii and I’m using this fresh start to make a fresh start in our eating and health as well… but not only is there the grocery vs. natural food store sticker shock, there’s the fact that *everything* here is much more expensive. I literally can’t shop at the natural food store, where I used to be able to afford to do some shopping there when we lived on the mainland. It’s overwhelming and your post is just what I needed to stop my all-or-nothing thinking and just start planning some meals and working on a budget. Thanks! You are right on! 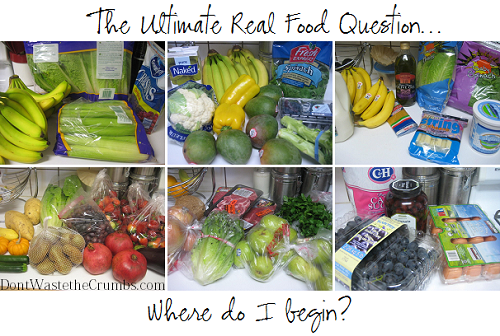 We’ve been on the “real food” journey for about six years, and there are STILL baby steps that we need to take! When we first started, I went one food group at a time, and I found that so much more doable than trying to change everything at once. I’ve only restarted blogging again but I use your meal plan as a general guideline to what I’m making and of course with the REALLY picky eaters in the home (including the spouse) I tend to use recipes that I know they will eat. 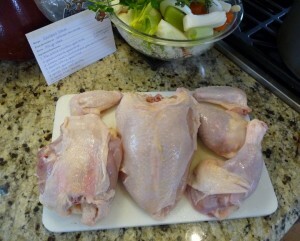 Home cooked is far better than store bought so I figure I’m on the right track. This year I switched over to a cash grocery budget and though my husband resisted — he doesn’t do the grocery shopping so he essentially lost any say, lol. Recently my weight has been higher than I like and my goal is to come back down. I know what I need to do but I tend to fall off the “Eating Out” wagon mostly on weekends. I have asked my friends or followers to take a look at the Real Food Journey and spend 22 days in April to do so. I hope it turns out successful but if not I don’t mind cause I’m sort of good for the first 3 days of a clean fridge and solid budget. I’m just reading the book to see what other good changes I can make especially with my family who don’t like change if they can see it or know it LOL. I love your site and visit everyday but this is my first post. This is exactly what I needed to hear today! I have recently been diagnosed with MS and my head is spinning with all the recommended diets. Though we eat mostly real, mostly healthy right now it seems like such a big jump to go on GAPS, or Paleo, or the Wahls Protocal. And I’d still have to cook for my family! I am so thankful the Lord led me to your blog! We are struggling with all kinds of autoimmune and our integrative doc is encouraging us to try a gluten free diet. I was so overwhelmed I nearly threw in the towel (except I’m so exhausted, they are all dirty!). I am nearly in tears as I’m navigating page by page and taking everything in. This is exactly what I’ve prayed for! It’s like having a BFF down the street to share my journey with! God’s blessings to you as you continue your journey and my sincere gratitude for sharing your knowledge!